As another year at Bodhicharya Kent comes to a close we are finishing the season with our traditional Christmas fund raiser for Rigul Trust (https://bodhicharya-kent.org/rigul-trust/) and the Open House Project which feeds and clothes local homeless out of the Quaker House we meet at. We will start the evening with some guided meditation practice and then watch the recording of one of Ringu Tulku’s first teachings given right here in Medway, Dealing with Emotions, which is a topic we can all connect with and relate to. Tea, coffee, biscuits and mince pies shall be provided and please bring anything you may like to share, thank you. As always, the Tuesday evening is free to attend with a suggested donation of £5 to help cover our costs and support the activities of the group, however all donations this evening will be donated directly to Rigul Trust, so please give what you can as you generosity is appreciated and goes a long way in Rigul, Tibet. We will also be collecting any spare food, warm clothes like thermals, jumpers, coats, hats and gloves and items that can help homeless during this time that will be given directly to the Open House Project on the night. If donating cans of food, then please only donate cans with ring pulls or donate a can opener as well, thank you. The next meeting in 2019 will be on Tuesday January 8th. 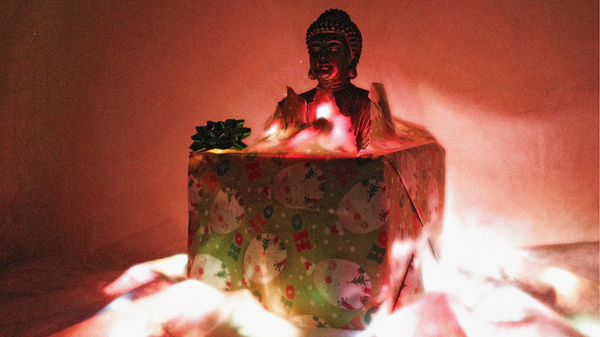 Om Mani Padme Ho Ho Ho!